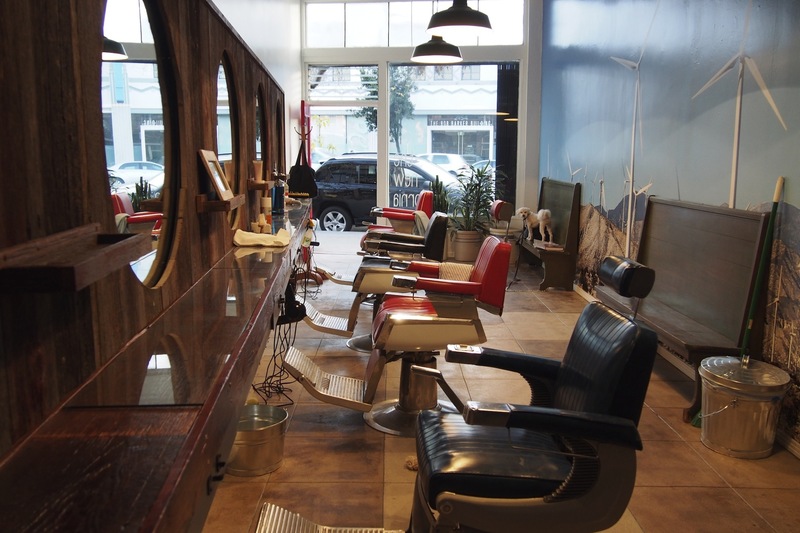 If your 'stache or mop is looking a little overgrown, it might be time to consider a visit to one of these fine local barbershops around town. We're not saying you have to go clean cut—but maybe your 'do is overdo for a trim. 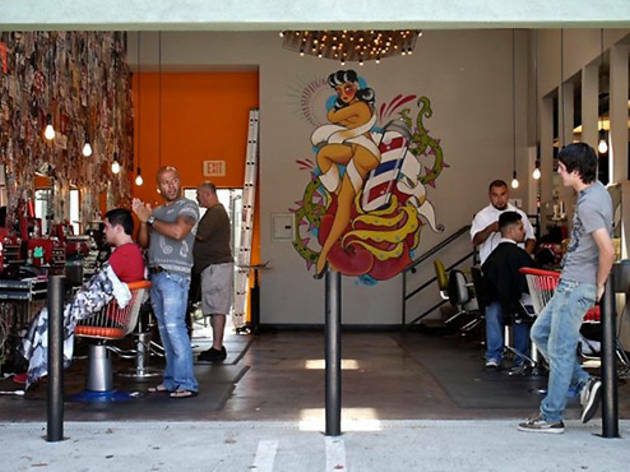 Whether you're headed to Los Feliz or Melrose Ave, we've got you covered with the best places in LA for a shave. Leave the hair salons to the ladies and ditch the usual spas for these true hangout spots (some have full bars, games and TVs galore), where you can take a load off and update your look. The name of this place doesn't exactly instill confidence, but have no fear: the barbers here mean business and have a passion for their art. 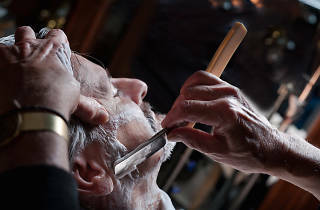 But it’s not just hair they’ve mastered: this spot offers cocktails as impressive as their cuts, championing the original concept of the barbershop as a place for men to socialize and congregate. 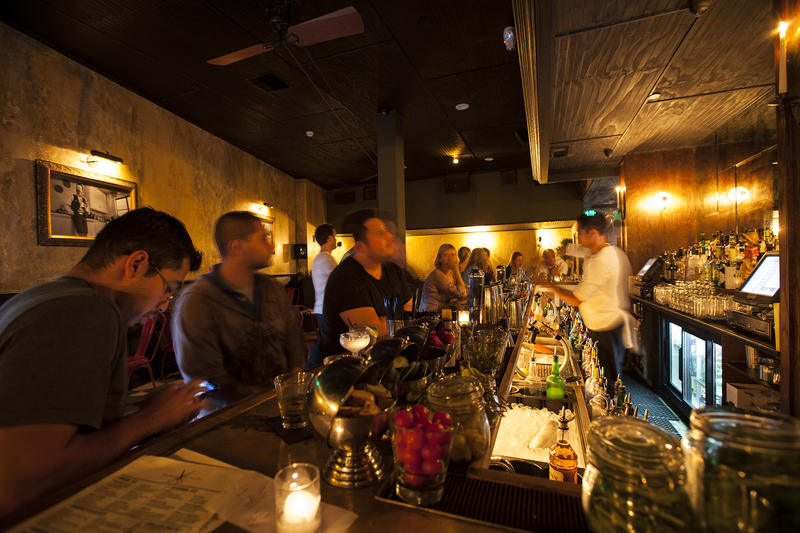 Founded in New York City’s East Village, the concept expanded west in 2012, bringing the bar-and-barbershop concept to Culver City. A service includes a drink, chosen from an extensive mixology menu, with aptly named offerings such as the Sweeney Ted (Jameson, lemon, honey, Pama liqueur, egg white and creole bitters). Don’t expect to walk out the door without must-have products from the Blind Barber line, featuring cocktail-inspired ingredients such as the juniper berry, found in gin, naturally. 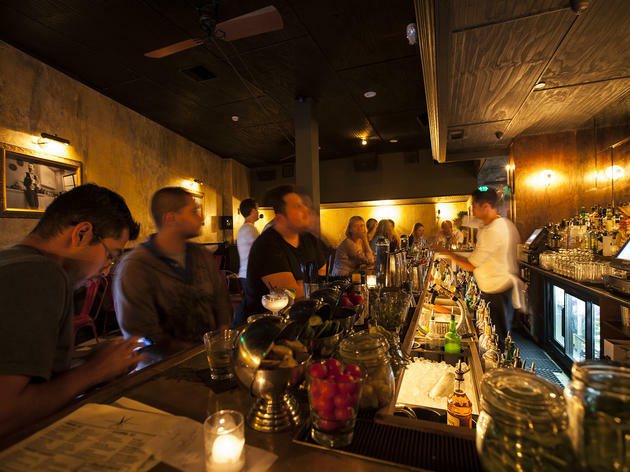 Kick back at this old-school establishment, where founders Vinnie Morey (recognizable from season one of Tabatha’s Salon Takeover on Bravo) and Trent Magnano have combined their love of street culture and modern art with a traditional feel at this eclectic space on West Third Street. 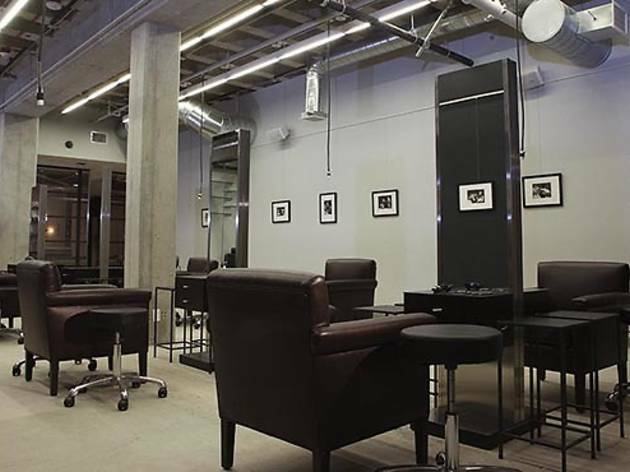 Movies, X-Box and beer are all on tap at this joint, which encourages you to get in touch with your manliness—and occasionally a bit of barbershop banter. 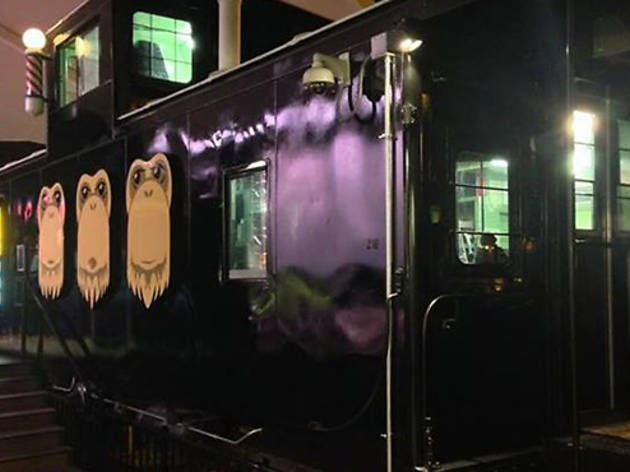 The Proper is also available for group events, including birthdays, bachelor parties and wedding day needs—ensuring not a hair out of place for groom and co. Top-notch service and quality reign supreme at this Echo Park grooming destination on Sunset Boulevard. 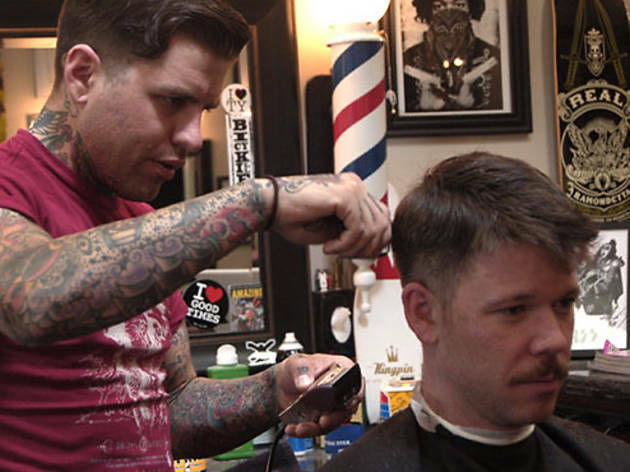 A former musician, founder Brian Girgus now puts his creative chops to use cutting hair. And how. Expect traditional barbershop offerings against the backdrop of this mid-century styled four-chair space, complete with a bright, mural-splashed wall of wind turbines. Don’t miss the adjoining General Store, featuring a handpicked mix of everything from vintage threads, and goods from cult hair and skincare line. Malin + Goetz. And ladies, rejoice! Tag along with your man on his grooming quest, and get your own snappy haircut, too. It’s not all fun and games at Bolt Barbers, but that’s certainly part of the experience. Indulge in a game of shuffleboard at the Downtown location, or bowling at the Melrose spot after you’ve been shorn and shaved smoother than a baby’s bottom by a member of the expertly trained staff. Choose from a wide array of menu options, including the father-and-son special for kids 15 years and younger, a boot shine special and at the Downtown flagship, Trojan Tuesdays, featuring a special price for USC students holding a valid student ID. Can’t make it to either neighborhood? 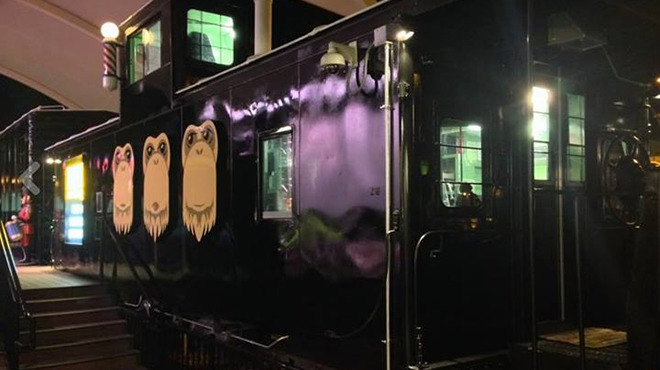 Let them come to you, thanks to the shop’s vintage mobile salon, available for private events. And for those in need of some after-hours manscaping, head to the West Hollywood address on Thursday and Friday nights, when doors are open until midnight. 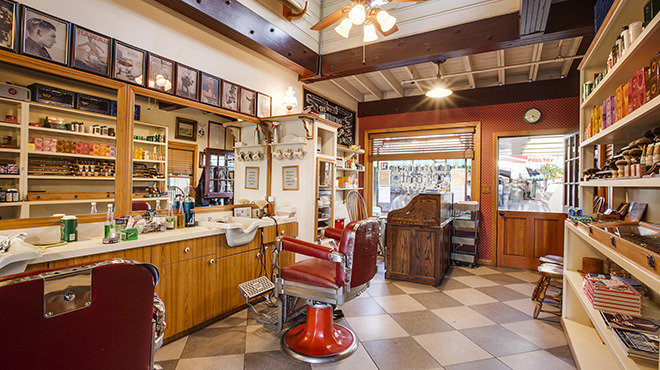 Travel back in time at this grooming haven, overseen by father and son duo Woodrow Lovell Sr. and Woody Jr., who pride themselves on 60 years of combined experience. 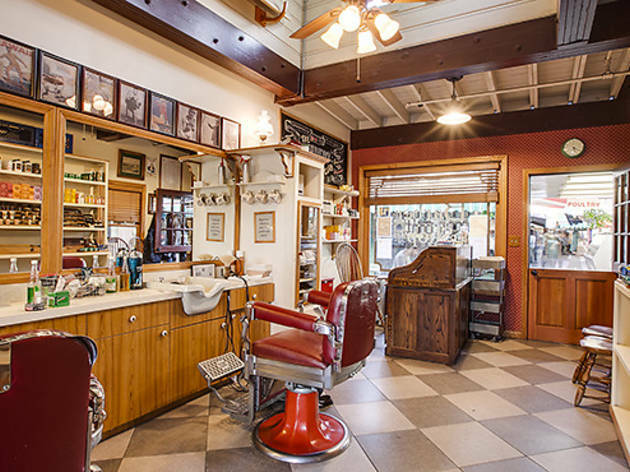 Located in the Original Farmer’s Market on Fairfax, this family-owned endeavor all but screams old school with its vintage chairs and nattily dressed barbers. 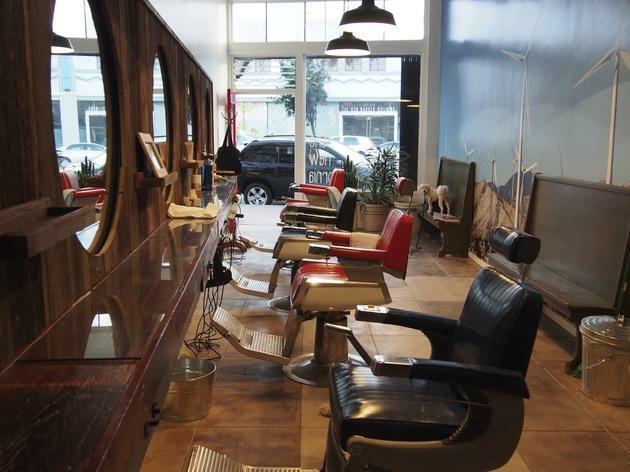 These guys put the "bar" in barber: make an appointment between 4 to 7pm to sip on happy hour specials from the carefully crafted menu of wine and beer, all while your stubble is reigned in. The shop also addresses hair care needs with handpicked products from Geo F. Trumper and Ursa Major. Each service includes a hot towel and Bay Rum aftershave. Prepare to be pampered at this plush locale on South Beverly Drive, where all your follicular fantasies will come true. 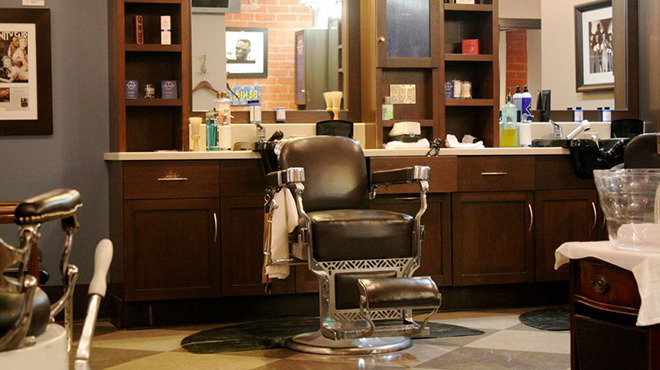 Sit back and unwind in a classic leather barber’s chair for a traditional wet shave, "unibrow surgery" or simply, a "nap in the chair" service, which invites patrons to relax and catch up on news and sports, cocktail in hand. Therapists have troubled skin covered here with customized product selections based on each customer's skin type. Got $5,000 to drop? 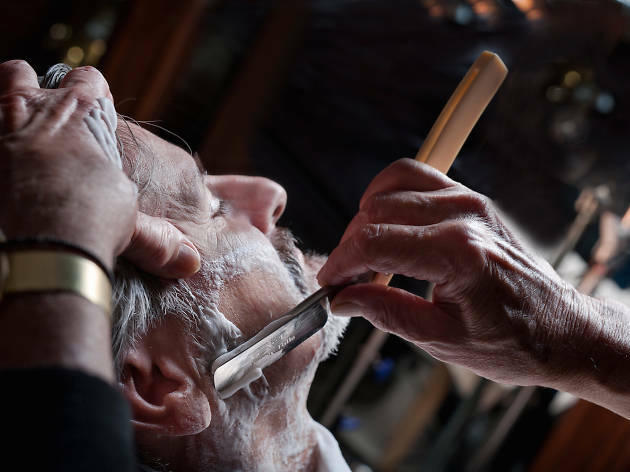 Consider splurging on an Icon level membership at the Shave, which includes discounted services, free manicures, premium beverages and invites to exclusive special events. 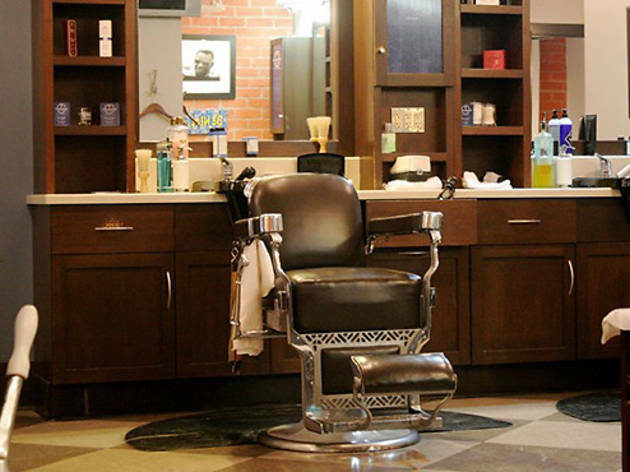 No cell phones allowed in this throwback joint in Los Feliz, which focuses on precision shaves and haircuts in an old-fashioned space, overseen by Sween Lahman. 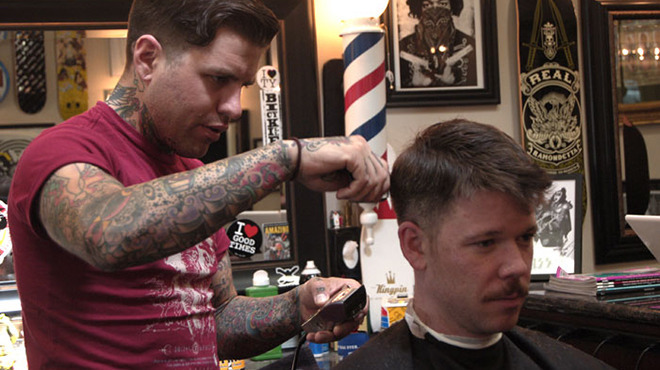 Formerly Andy’s Barbershop, Lahman—an employee at the time—bought the space in 2007, and promptly returned it to its original glory. Add your name on the chalkboard and peruse the collection of lad mags and periodicals as you wait for a seat with one of the five on-staff barbers. Just remember to leave time for a shoe-shine on your way out the door. 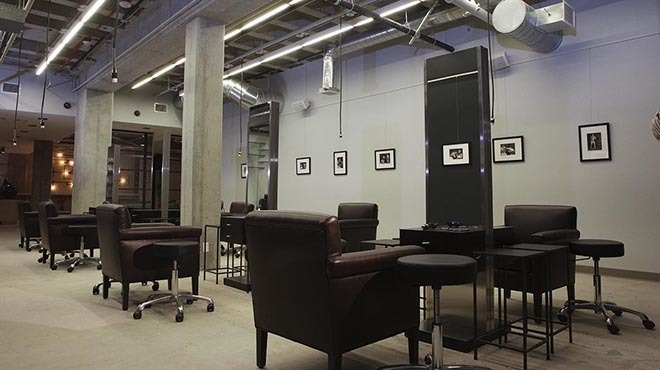 The space is available for private bachelor parties, complete with a projector and vintage stag movies—brides-to-be can rest assured you’re simply out getting a haircut. 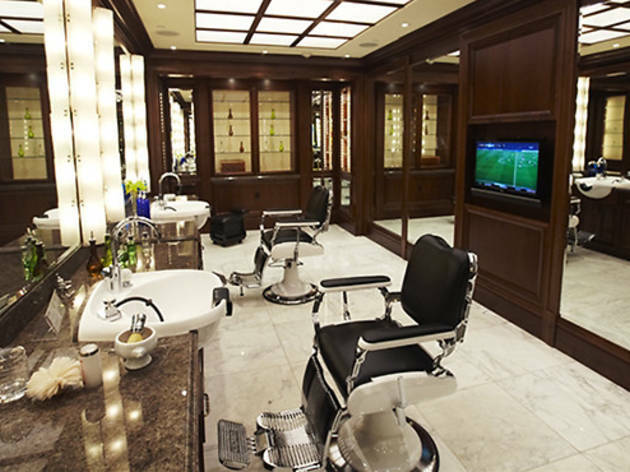 Slip into to the renovated men’s Saks where the spectacular services of John Allan’s grooming awaits. 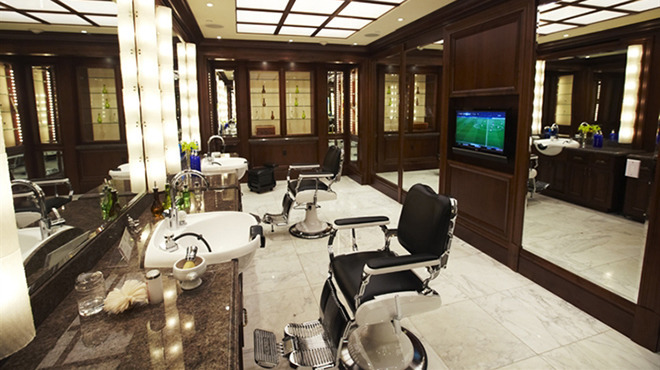 Enjoy a game of billiards over a cold beer from the on-site bar, then plop into a chair for a serious shave. Got time on your hands? Book additional services such as hair color (we swear we won’t tell), manicures and facials. Regular travelers, consider a John Allan membership, which offers access and unlimited visits to clubs around the country including San Francisco, Chicago and New York, so you look sharp wherever you go. Appointments are a must. 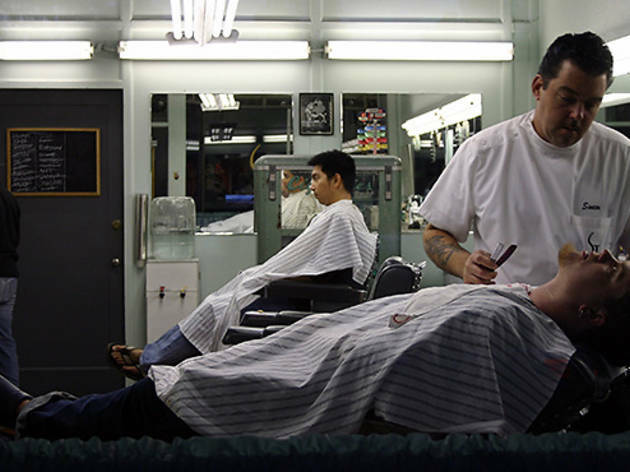 Despite the name, this no-frills barbershop has a long-standing history on Fairfax, counting a wide swath of customers as its clientele, including Adam Levine, who though blessed in the hair department, has counted on Shorty’s to keep him looking fresh. 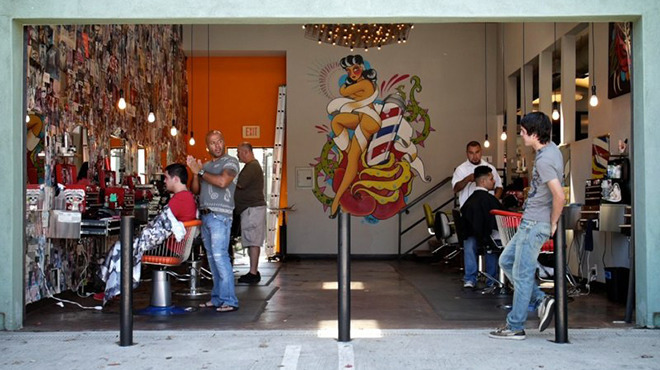 Expect a ’do as hip as the digs, where walls are plastered with photos and an eye-catching tattoo pinup art mural. 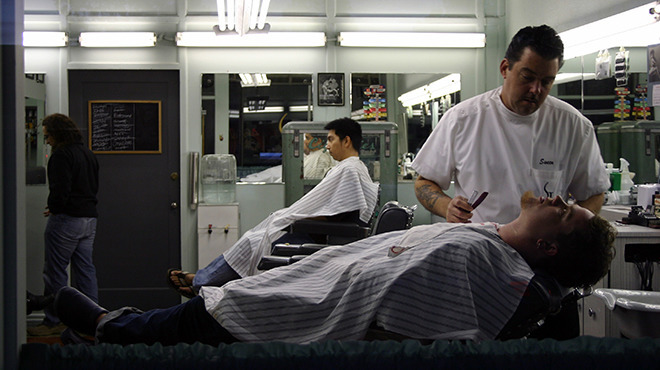 One traditional barbershop mentality is also laid to rest here, with some services primarily targeted to women, including color and hair relaxing.